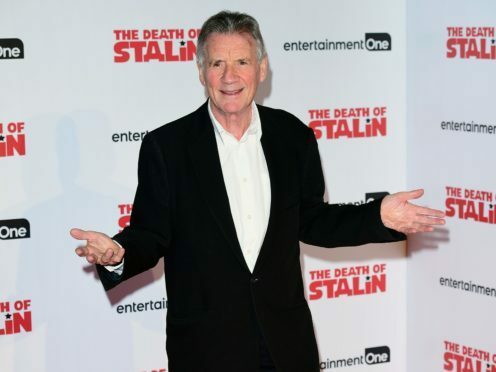 Michael Palin says “something will happen” to celebrate Monty Python’s 50th birthday – but marking a random year like 51.5 would be more appropriate. The first episode of Monty Python’s Flying Circus was broadcast in 1969. The troupe – Terry Jones, Eric Idle, Terry Gilliam, John Cleese and Palin – reunited for Monty Python Live (Mostly) in 2014. “Now of course Terry is unwell, Terry has got dementia, so he can’t really take part, so there’s fewer of us. But something will happen,” Palin said. Michael Palin In North Korea starts on Channel 5 on Thursday September 20.